Family in Home Caregiving, Inc. is the perfect solution for seniors and others who aren’t ready to leave their homes for an institutional setting or live with relatives, but because of illness or chronic conditions need support to remain at home. We improve your life by providing compassionate, one-on-one care in the comfort of your own home. Constant family caregiving can bring about considerable stress. We provide a respite for the primary family caregiver, i.e., a wife caring for her husband or a son caring for his parents, offering relief with daily routines and strengthening relationships. Please call us for a FREE assessment. Proudly serving Monterey County and surrounding areas. Our caregivers are totally committed, highly qualified and carefully selected individuals who are personally and thoroughly screened, bonded and insured. Most importantly our caregivers are dependable and extraordinarily caring of others. 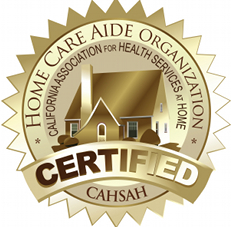 In addition to their previous experience, our caregivers receive continuous training that includes a specialized curriculum exclusive to Family inHome Caregiving, Inc.